Are you ready to give you car the service it is asking for? Schedule car maintenance or repair in Tallmadge OH right here. Our top-notch service staff can get your car or truck in and out quickly. We know there isn’t much more frustrating than being without your vehicle while it gets repaired. That’s why we have a staff that excels in providing top-notch maintenance and repair – and is able to do it quickly. 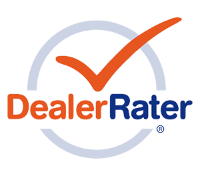 By submitting this form you will be scheduling a service appointment at no obligation and will be contacted within 48 hours by a Silver Star Motors service technician.